Learn how to fly a quadcopter by viewing these videos of the latest easy to fly top drones on the market. For your first quadcopter you definitely need one which is easy to fly and has plenty of failsafe features and technology. A few years ago, learning to fly a drone was a bit daunting with many people crashing their new drone on the first flight. What a nightmare. Well, this doesn’t happen very often any more. The good news is that these latest top professional drones are so very easy to fly and all include intelligent modes to make flying even easier. Drone manufacturers design their drones towards the mass market and aim to make drones easy to fly, fun and look great with many safety features such as automatic return to home mode. All of the above drones can be flown manually either through a Remote Controller or Smartphone App. These drones can also fly autonomously or semi autonomously using various intelligent flight modes such as Follow Me Mode, Active Track, Orbit, Journey, Points of Interest and Waypoints. Each drone has their own intelligent flight systems with the DJI Phantom 4 Pro having the most intelligent flight modes. Each quadcopter discussed has links where you can read more in depth information on that particular UAV’s features such as camera and intelligent flight systems. Some people just love the sheer fun and thrill of flying their drone. Others want to use their drone from taking scenic aerial shots and perhaps even start a drone business whether it is aerial photography, filming or surveying. There are many possibilities and you will need a certain amount of photography knowledge to become a really good drone photographer. One of our latest articles 15 Drone Photography Tips is essential reading and will help you immensely to becoming a real expert. For many of us, drones are quite new. However, the first unmanned flight ever recorded was on August 22, 1849, when the Austrians attacked the Italian city of Venice with unmanned balloons loaded with explosives known as Austrian balloons. You can read further in this history of UAV flight article. Before we take a look at how easy it is to fly the latest drones, you can learn more about drones in these terrific articles on the technology in drones and an overview of drone parts. Another great article explains about quadcopter motor and propeller design to fly and maneuver. Drone flight stability is very important and you can read about it in this article entitled “Gyro Stabilization, IMU And Flight Controllers Explained“. We start off with how to fly the DJI Mavic air quadcopter. This is the very latest easy to fly drone from DJI. The video takes you right from the beginning from attaching propellers, connecting your smartphone to the remote controller and taking your first flight. The Mavic Air is a terrific quadcopter and you can read and watch some terrific videos in this Mavic Air review. It really so very easy to fly and can recognize and fly using hand gestures. The Mavic Air has obstacle avoidance where it can either hover in front of the obstacle or fly around the obstacle. Amazing. The DJI Mavic Pro definitely broke new grounds when it was first released. It is pocket sized, flies super smoother and has a long flight time of approximately 27 minutes which is way better than most other drones on the market. 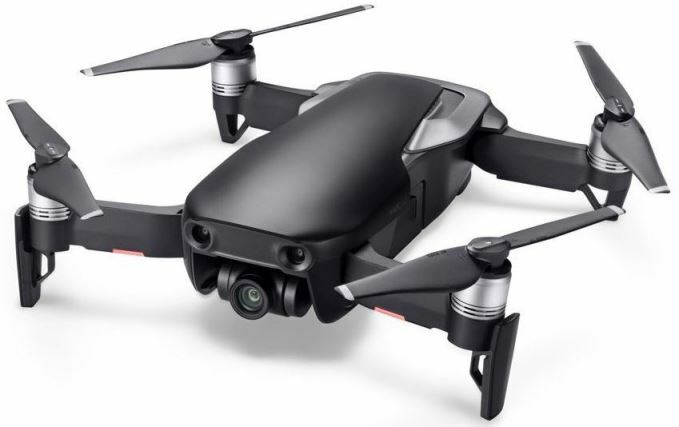 The DJI Mavic Pro has a super stable camera and gimbal technology along with plenty of camera settings so you can capture the still shots or video you want. The Mavic Pro is also very easy to fly and has many autonomous flight modes. The Mavic Pro can detect obstacles in front of it and hover in place. It also has a sport mode which means it can also fly super fast. You can watch some videos and read the full DJI Mavic Pro review here. The Mavic Pro is still my number 1 quadcopter on the market today. It is super easy to learn how to fly the Mavic Pro drone. 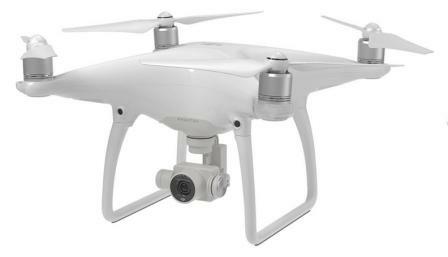 For professional filming, taking aerial still shots or 3D photogrammetry mapping, then the Phantom 4 is the perfect quadcopter. It’s flies super stable and it’s 4k camera has a multitude of settings which captures our world vividly. This quadcopter has so many autonomous flight modes which make flying and filming so very easy. It has so many terrific features and the Phantom 4 Pro price is very low for a professional drone of this quality. It’s the best all round drone. 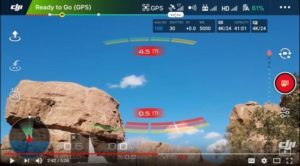 You can read further and watch videos in this Phantom 4 intelligent flight modes article. To create 3D maps or models, all you need is the Phantom 4 quadcopter, along with a top photogrammetry software application. Learning how to fly is Phantom 4 drone will only take you a couple of minutes. Here is an excellent video which shows you how. The Parrot Bebop 2 quadcopter is light and weighs less than 500 grams (18 ounces) and can fly up to 25 minutes. It has a 14 megapixel high definition camera, with a 3 axis stabilization system built in. The Bebop 2 makes a great first drone. However it can also now be used for many commercial applications. In March 2017, Parrot announced a new all-in-one aerial imagery and 3D modeling solution for real-estate and building professionals, using the “Parrot Bebop-Pro 3D Modeling” pack. The pack includes a Parrot Bebop 2 drone with Parrot Sky Controller 2 remote control, Pix4Dcapture app, which automatically captures aerial images, as well as Pix4Dmodel software to process images and creates a 3D model. You fly the Parrot Bebop 2 using the Skycontroller 2. The Bebop 2 quadcopter has an optimised secure Wi-Fi connection which gives a live video feedback to your tablet or smartphone via the FreeFlight Pro app. It is now able to fly distances of up to 1.24 miles. You can read further on the Bebop 2 quadcopter here. Now here is a video which shows you who to fly the Bebop 2 using the SkyController along with some great information on this excellent drone. The Parrot Bebop 2 is an ideal first drone. The Ehang Ghost drone is one of the easiest drones to fly. It is perfect for beginners. All you need to fly this quadcopter is their smartphone app called “Ehang Play” which is available on Google Play and on the Apple’s iTunes Store. The Ehang’s camera shoots 4K video and 12 megapixel photos with a F/2.8 aperture, 93 degree wide angle field of view lens. There is no Remote Controller with the Ehang. You control the Ghost drone with one click commands using the Ehang Play app on your phone. Auto Mode does the flying. Point your finger on a map, and the Ehang quadcopter flies to that spot. This high tech drone also has an auto follow mode which keeps the camera on you. The Yuneec Typhoon H really is a professional multirotor drone. The Typhoon H is used by many search and rescue teams as it is a very robust multirotor. The Typhoon H has a flight duration of up to 25 minutes while filming with the CGO3+ 4K UHD camera. The Android powered ST16 Ground Station features a 7 inch touchscreen which displays live footage of your flight in HD 720p resolution and enables a wide variety of autonomous flight modes. There is also a thermal camera option for the Typhoon H which makes it ideal for search and rescue missions at night. The Typhoon H is beautiful looking drone with excellent design. You can watch a full Typhoon H review video here. The Typhoon H has an excellent Remote Controller and comes with everything you need to fly. Here is a terrific tutorial on how to prepare and fly the Yuneec Typhoon H along with great tips. The Yuneec Breeze is a lovable, small and compact quadcopter. It’s a quadcopter which is easy to carry and yet takes excellent photos and film. It is also very easy to fly. Filming is also very easy as the Yuneec Breeze has a number of autonomous flight modes. You also can fly the Yuneec Breeze with just your smartphone. It is less than 10 inches (24 cm) in diameter and it weighs just 13.5 oz (385 grams). You simply fold up the propellers and fit it into the Yuneec Breeze carry case. This drone then fits nicely into a shoulder bag. This quadcopter is really practical. Your smartphone serves as the remote controller with gives you live image transmission. The Breeze is equipped with a sensational vertically adjustable 4K UHD camera, which allows you to capture high quality video footage. It can also shoot 13 megapixel selfies and stills. The Breeze comes with the following intelligent flight modes which make it even easier to fly. You can read further on this quadcopter in our Yuneec Breeze review. It is very reasonable and makes a fun beginner drone. Next is a short video which shows you how to fly the Yuneec Breeze quadcopter. This is a fantastic quadcopter and it has so many features. Here is an excellent Walkera Voyager 5 review for you to read and watch videos. The below video also does a quick review and shows you how to fly the Voyager 5 quadcopter. This new Walkera Vitus Starlight quadcopter has a the night vision starlight camera enabling you to capture clear footage at night or in extremely low light environments. It also films excellently in normal daylight. The Vitus Starlight has a nice tight fold up frame. It can fly up to 25 minutes and weighs only 920 grams (32 ounces). The smartphone app and remote controller is very easy to use. You can visit Walkera and read more on the Vitus Starlight drone. Below is a closer look at this Vitus Starlight quadcopter. Because this has a night vision camera, this is going to have many terrific commercial uses such as surveying night time crime scenes, investigating crashes at night and also used for night time search and rescue missions. The below video takes a nice look further at the Vitus Starlight. The X-Star Premium 4k drone is an amazingly easy to fly quadcopter. The 4K camera and 3-axis gimbal can record crystal-clear, smooth Ultra HD videos or take 12-MP photos with HD Live View up to 1.2 miles away. This drone is ready to fly out of the box, and can be flown with or without the help of the free Starlink mobile app. 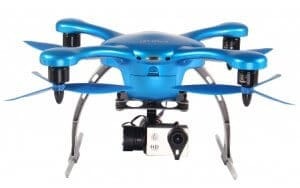 It has dual GPS and GLONASS satellite navigation and aided by the Starpoint Positioning System making this drone very safe and flies super stable, even indoors or at low altitudes. Where other drones might become erratic or fly away when there is magnetic interference, the X-Star is equipped with their exclusive SecureFly technology to help the drone come back home safely. You can read further on this nice very easy to fly quadcopter over on the Autel X-Star Premium 4k drone web page. This next video shows you around the Autel X-Star including how to fly this quadcopter.